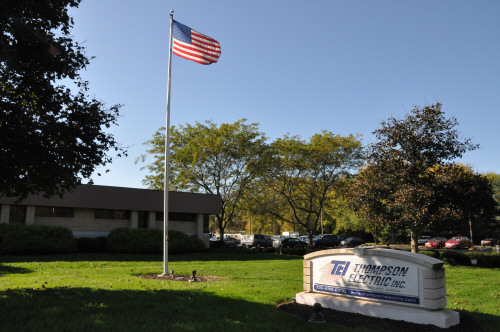 Modern Facilities and Training Center at Thompson Electric, Inc.
Thompson Electric’s original facility was built in 1978 on a four and a half-acre lot. 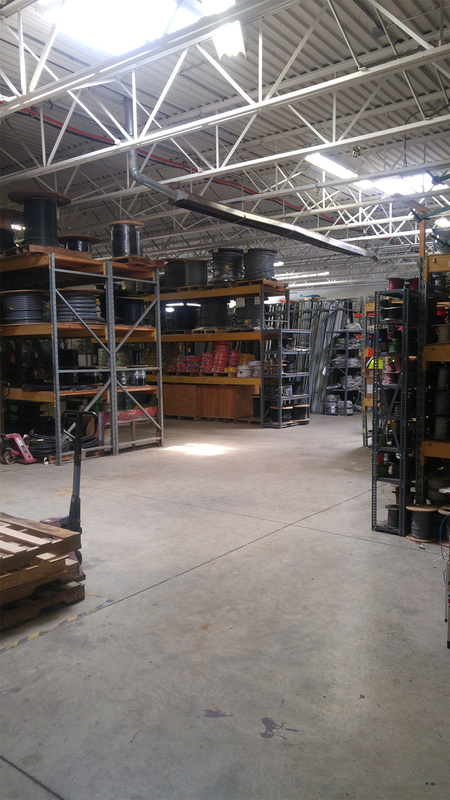 The 5,000-square-foot space was used for offices and warehouse storage. 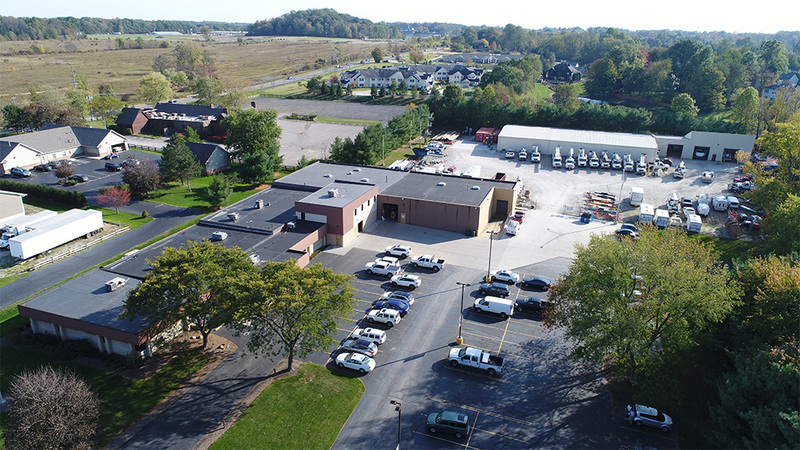 Today, and nine expansions later, the facility has been renovated to accommodate our company’s exponential growth. 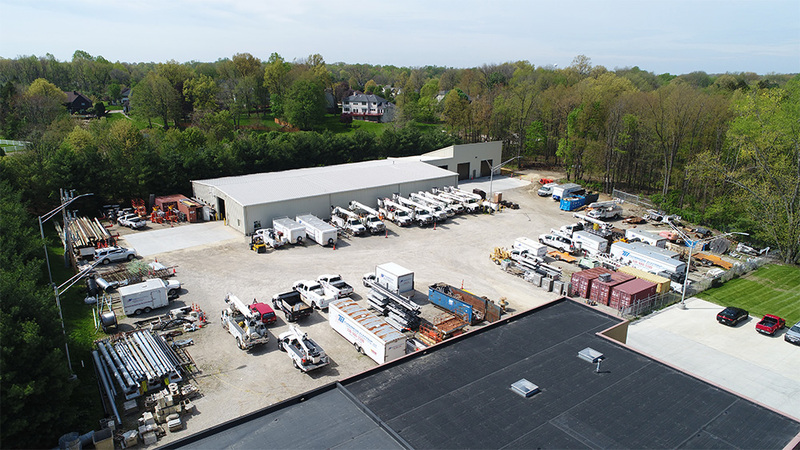 In addition to our expanded facility, we use several remote yards for storing bulk materials and equipment. 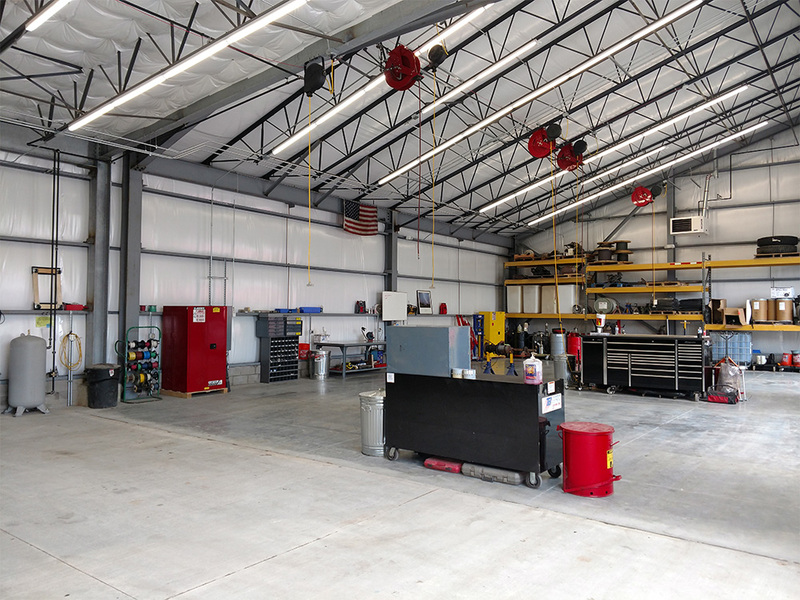 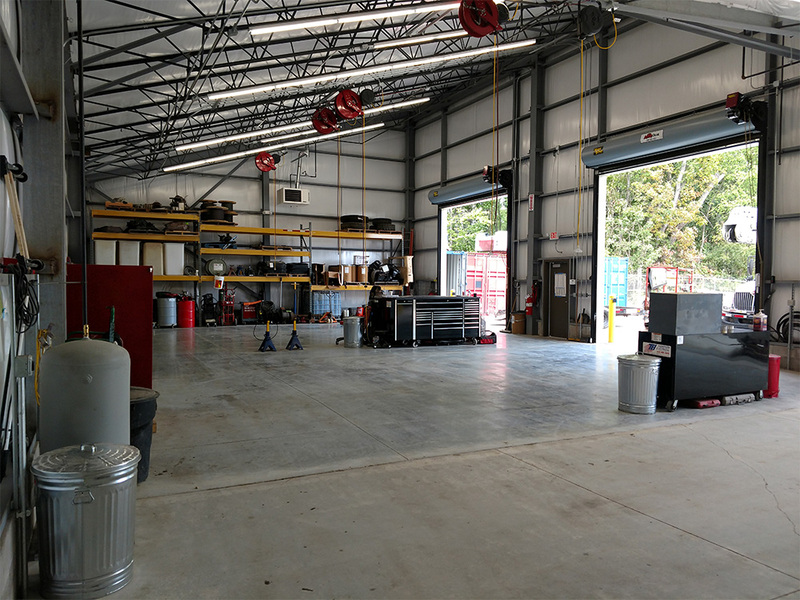 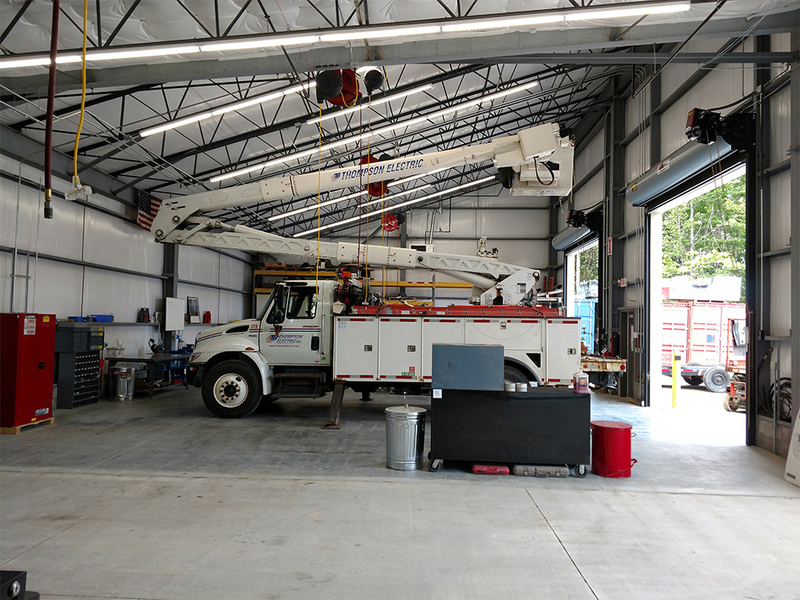 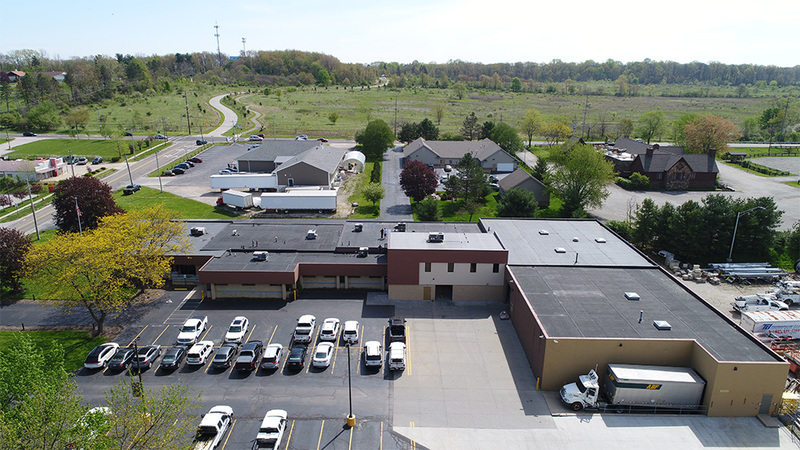 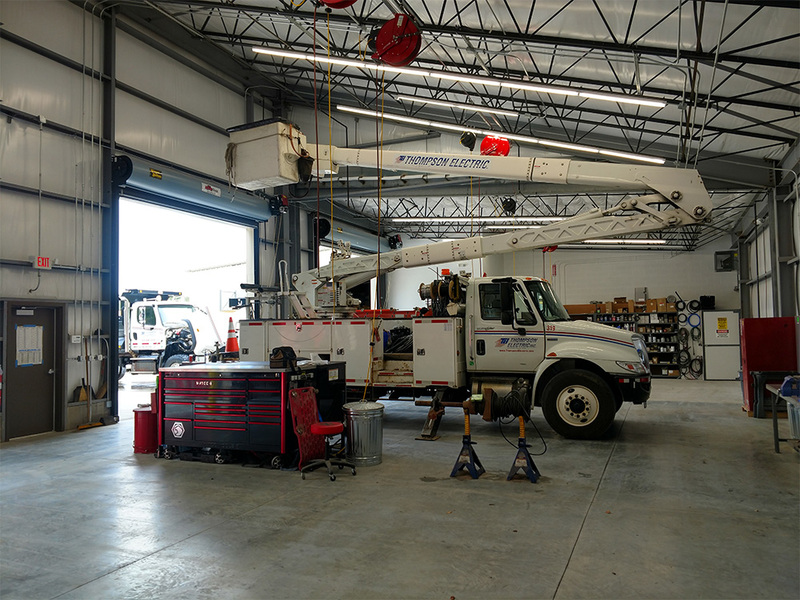 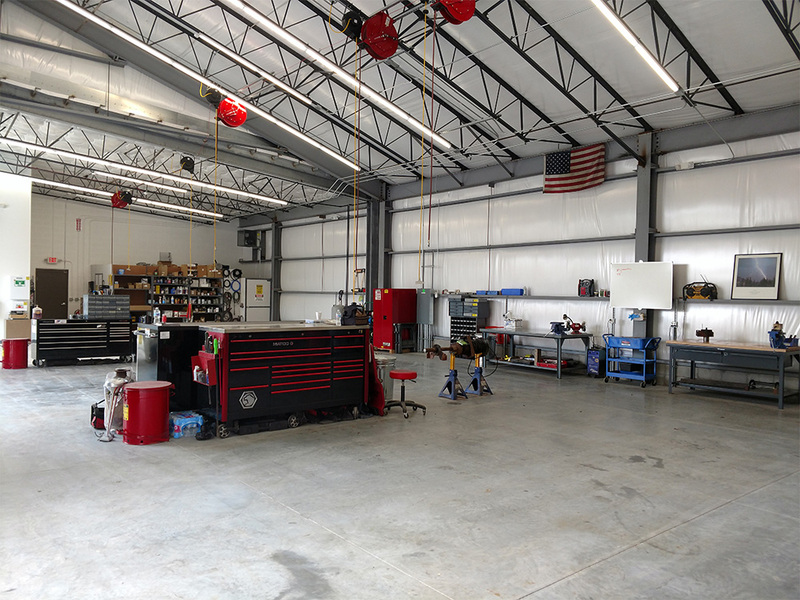 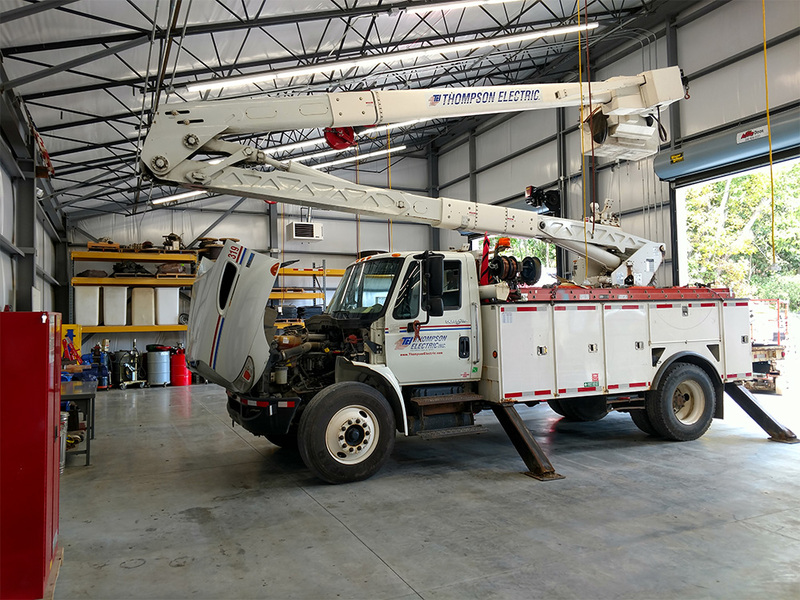 Thompson Electric is prepared for projects of any size with our state-of-the-art facility. 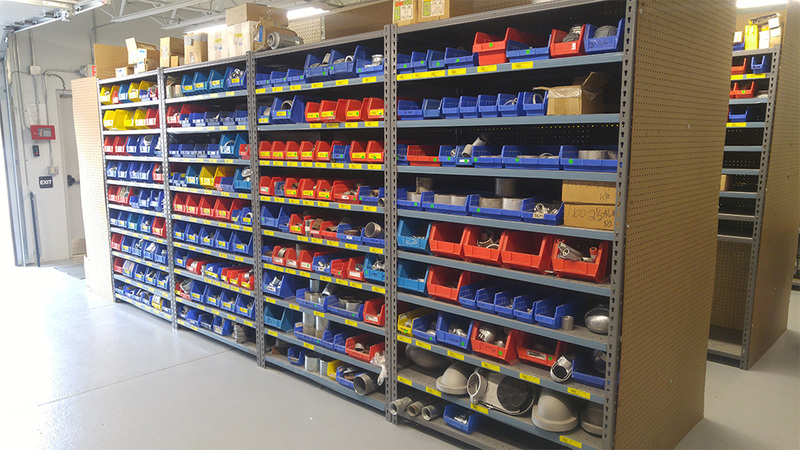 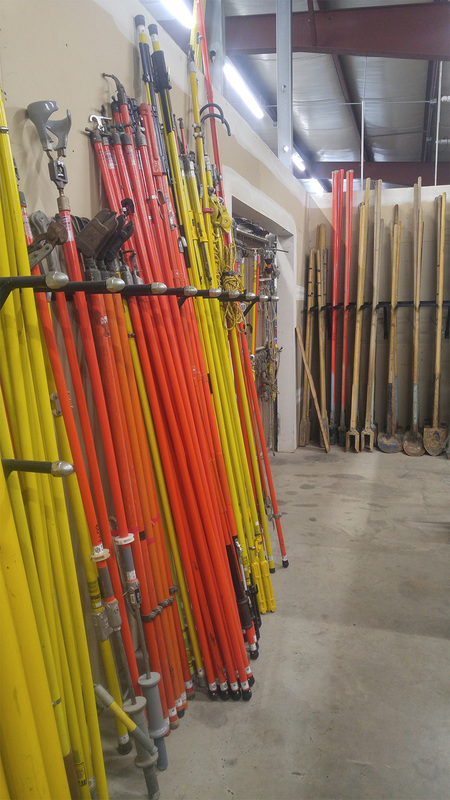 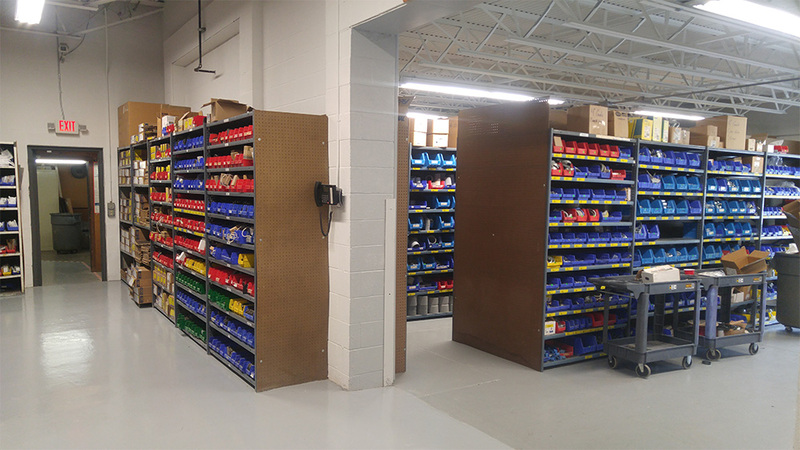 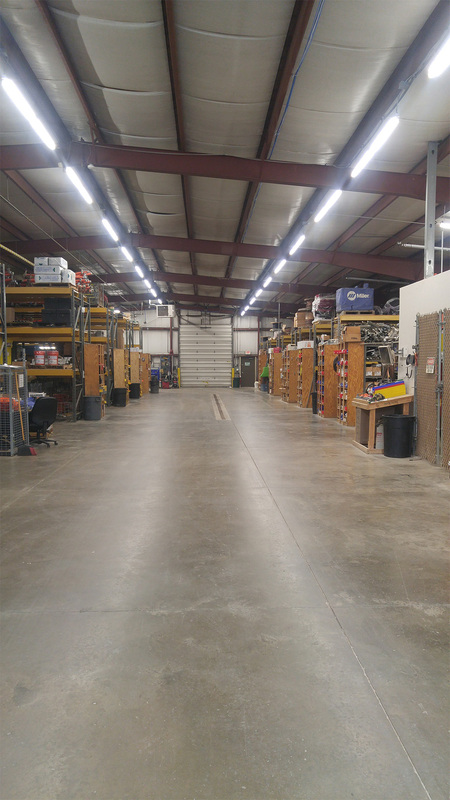 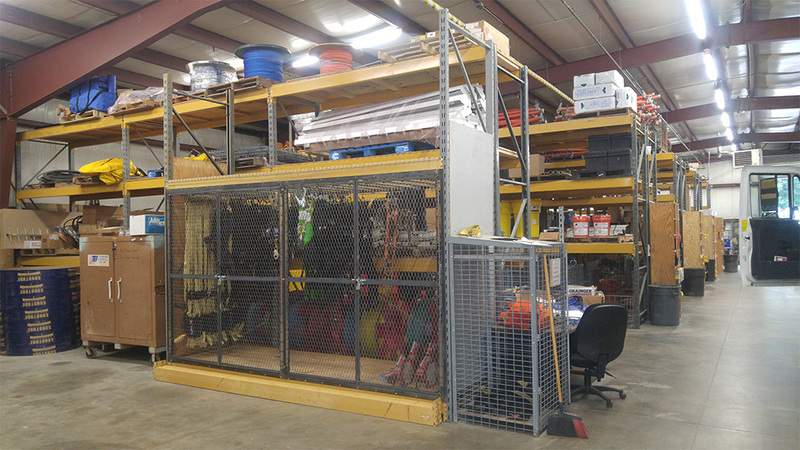 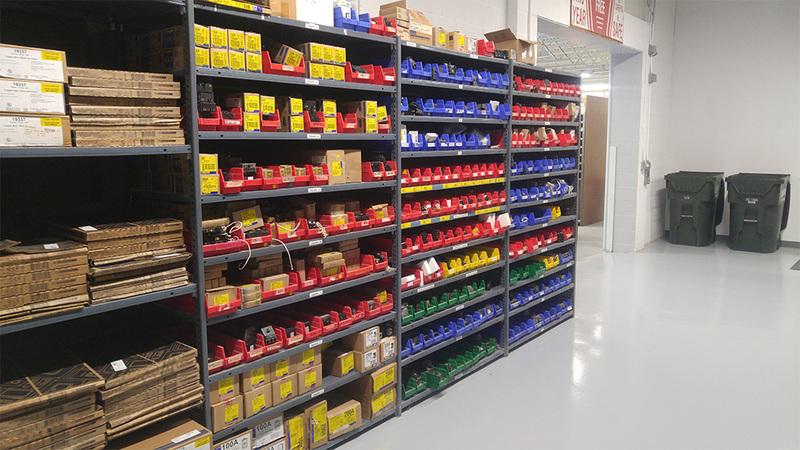 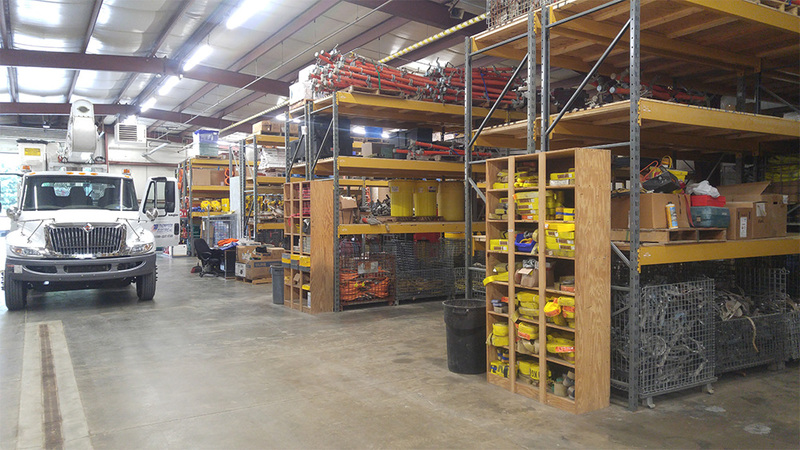 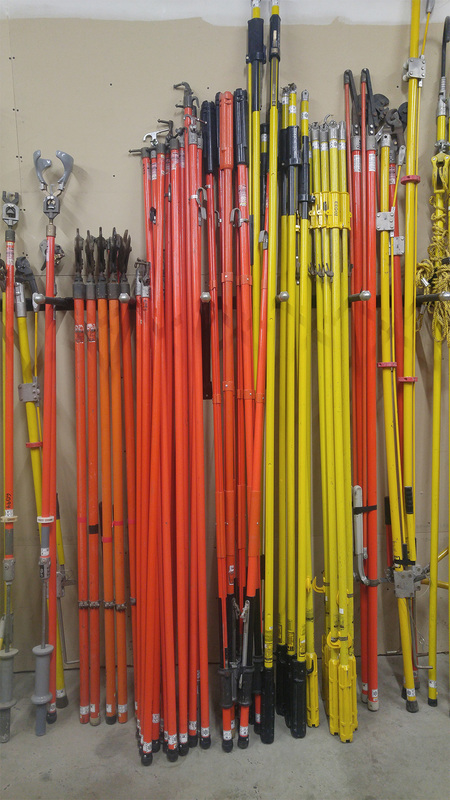 Our fully-stocked warehouse has the supplies and equipment needed for emergency services, as well as large service jobs. 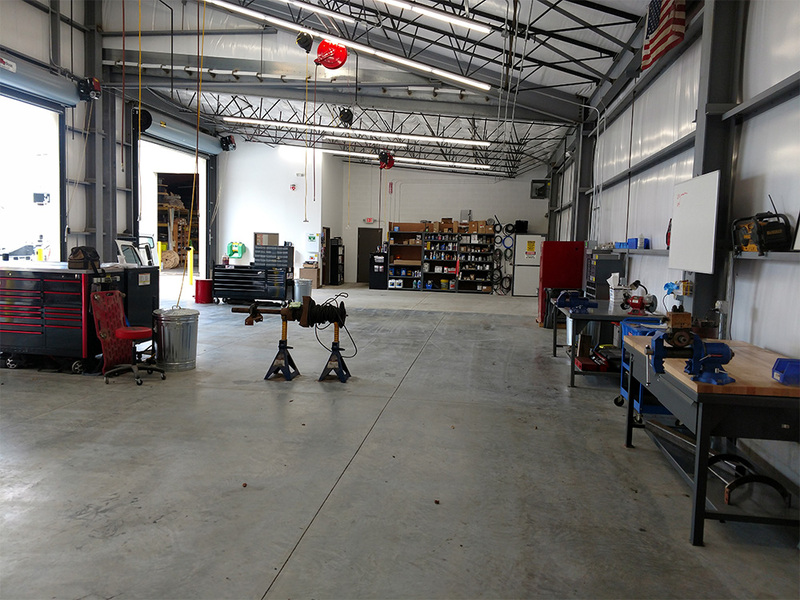 We also maintain an on-site training space for ongoing education and skills development, ensuring our employees receive the best industry training. 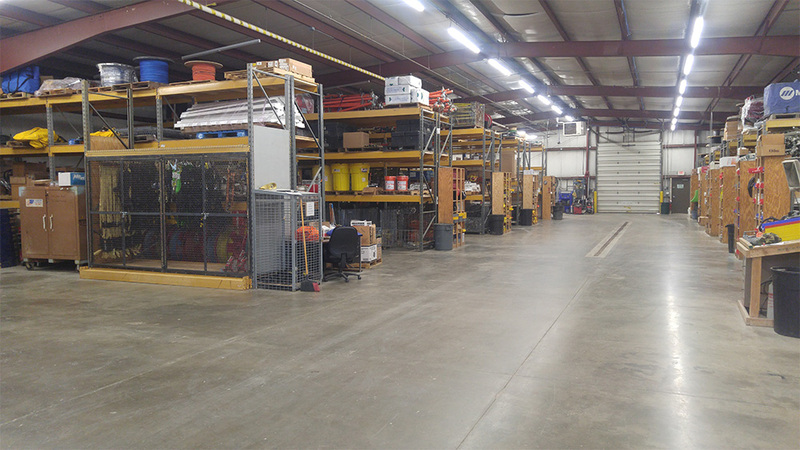 Our management team prioritizes safety education, ensuring that a safety culture exists among all employees—with the ultimate goal of zero harm.